Novice & Beginner Swimmers welcome. No previous swimming experience is necessary. Class focuses on breath control, balance & body position. Class will develop all strokes from the very beginning with an end goal of lap & fitness swimming. There are no upcoming “Adult Beginners” classes on this day. Classes take place at Hunter College North Building on East 68th St (695 Park Avenue). Please enter on E 68th St between Park and Lexington. Pool is located on Cellar Level. Had a few classes with different Physique Swimming instructors and they are all very patient and attentive. They adjust the workout to everyone comfort and capability level which is great; it is more trailered to your level rather then being one set of exercises for all. Planning on going back. Toshi, the instructor, was great. It was basically a semi-private lesson. He was great at helping me make small tweaks on my freestyle stroke. Within the first 5 mins of the lesson I learned more than I had from watching hours of YouTube videos in effort to teach myself how to swim a proper lap. 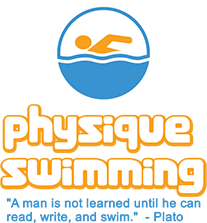 I give physique swimming my highest recommendation. Great class!!! Im not scared to swim anymore!!! Great for beginners. Most students seemed to swim a little. Instructor Manny was super helpful in fixing individual issues with technique. This class was amazing! Ian was a super nice and helpful instructor! I learned do much on my first day! Would definitely go again!